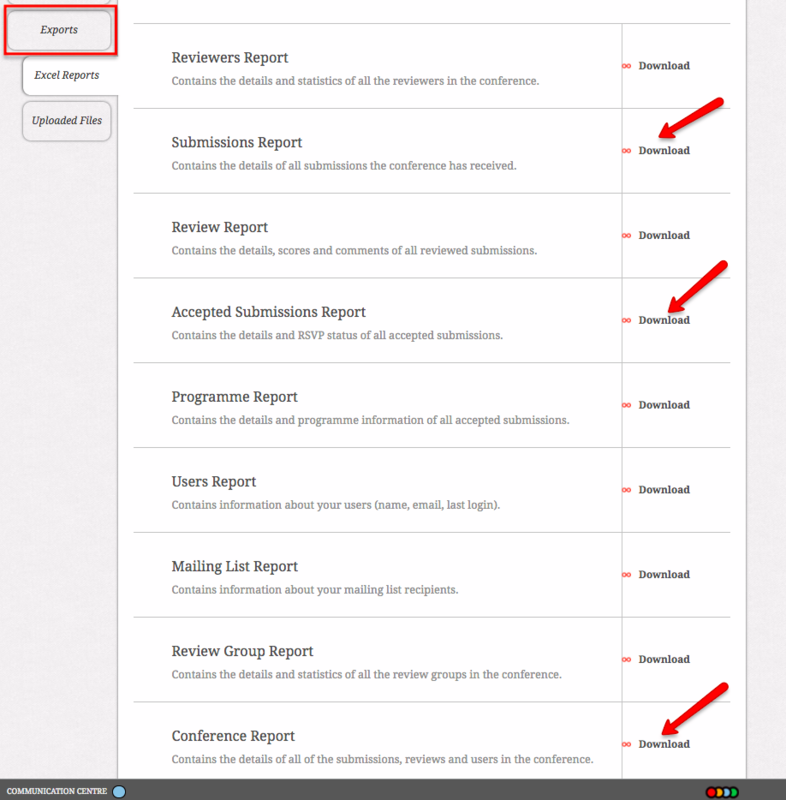 The system allows you to download papers and other data at different stages of your conference. This data can be exported as Excel or Zip files. 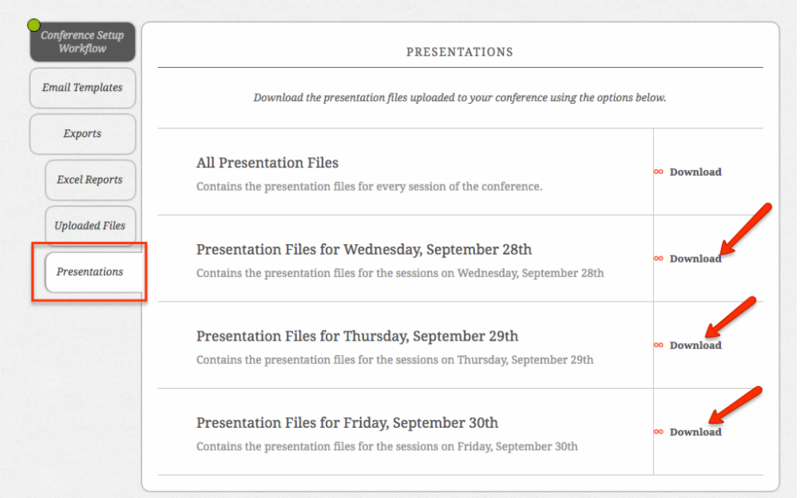 To download a zip file or an excel sheet, go to the Conference hub from your dashboard. You may notice some formatting characters in your export. These are due to formatting applied when someone entered text to this field. To get your ZIP files, select the tab marked as Uploaded files. Here you will see a collection of potential downloads. 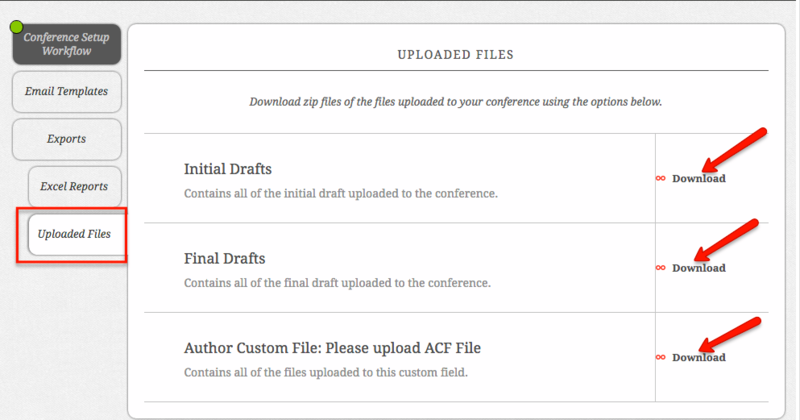 The potential zip file downloads that you will see will depend on the files that you have asked authors to upload. For example, if you asked them to upload initial paper drafts then you will see 'Initial Drafts' on this page as well. The zip file will download directly to your browser and contain all the files that you have permission to see. For all types of downloads you will receive a pop up message. When you click ‘Download Report’ the content will be downloaded directly to your browser. A copy of the report will be also sent to you by email.